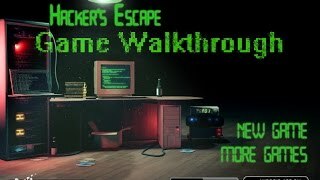 Click on the Play Button and 'Hacker's Escape' will start after this message... Thanks for waiting! Mankind is gone, and only robots linger – they're permanently looking for fuel. Control a young robot who has to explore an abandoned town looking for resources and a way out this horrible place.